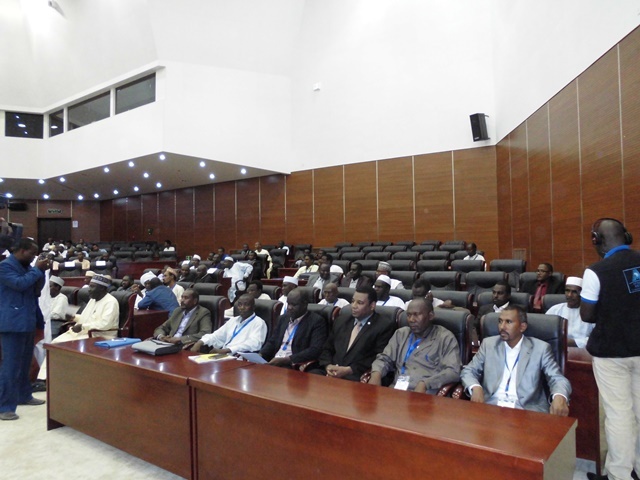 The international symposium launching ceremony on the theme “African literature of Arabic expression” was held Sunday, May 16, 2016 in the Chadian capital, N’Djamena. Organized by the Africa-Arab Cultural Institute in collaboration with the King Faisal University in N’djamena, the symposium was graced under the High Patronage of His Excellency Mr. Idriss Deby Itno, President of the Republic of Chad, Head of State. The symposium brought together participants from more than 15 Arab and African countries in addition to African and Arab scientific institutions and lasted for three days under the auspices of His Excellency Mr. Mahamat Annadif Youssouf, Chadian Minister of culture and Representative of His Excellency the President of the Republic of Chad, who stressed in his opening statement that the history of Chad is not different from that of the other sub-Saharan African countries and underscored that the sponsorship of the symposium translates the keenness and importance that His Excellency President Idriss Deby Itno attaches to the extension and development of Arabic in Chad. The thematic of the symposium focused on the importance and the influence of Arabic language in sub-Saharan Africa, which could serve as a catalyst instrument to boost relations between Africa and the Arab World. The Director General of the Afro-Arab Cultural Institute meanwhile stressed that the seminar bet not only on the development of the Arabic language, but also the attainment of peace, tolerance and better human behavior. Participants had the honor to meet His Excellency the Prime Minister of Chad, who highlighted that the Arabic language is a bridge between the Arab world and Africa. He also committed to submit the recommendations of the symposium to the 4th Africa-Arab Summit, foreseen in Malabo – Equatorial Guinea in November 2016.